Are Your Hands Always Cold In The Winter.Why Not Make The Best Hand Warmers In The World.So Good That You'll Make More Than One Set. While my dad and I were working on a project that dealt with melting plastic.We found out that plastic holds heat for a long period of time.So I decided to make a cheap and effective pair of hand warmers.After making the hand warmers I heated one of them up for five minutes.Which held heat for 30 minutes on the back of someone neck and the hand warmer was only half full. 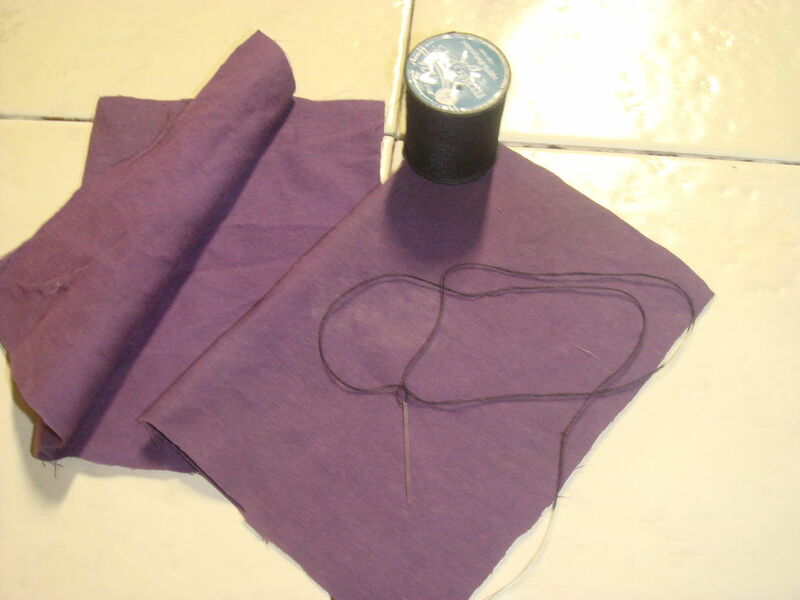 Cut fabric into two 8x10 inche pieces.Then fold the fabric in half,so when you sew it i'll make a pouch.To make the pouch you have to sew the fabric inside out,but only sew it three quaters of the way.Then flip the pouch rightside out. Next use you funnel to put in the opening of your pouch.You can get BB's at some of the flee markets,At far Eastern Imports,or anywhere that sell airsoft guns.For this project you don't have to have expensive BB's cheap ones work just as good. The final step is to sew the last part of your pouch so the BB's don't fall out.Then all you have to do is heat then up and enjoy.You can heat them on a heater or by a camp fire but watch them carefully because if the BB's get to hot they will melt and start popping. What's could be a useable substitute for the bag? I don't have access to sewing materials and I don't know how to sew all that well, but this is a great idea and I want to use it for backpacking. Any ideas? A nice woman in my office made a neck warmer for me (long cloth tube).She put rice in it,and you can heat it in the microwave in just a minute or two.Lasts about 1/2 hour. I received a medium size warmer as a gift made with field corn (field corn does not pop). A linen cloth holds the field corn then sealed in a decorative cotton fabric that matches the personality of the owner. I have had and used my warmer for 12 years now off and on with no burning or rotting. It lives in my freezer until needed in case I need a cold pack. It is easy to warm in the microwave if I need it hot. I was told not to heat my warmer past 1 minute (based on size - hand warmer size 30 seconds). If hotter was desired then to shake contents before heating again at no more than 15 sec. intervals to prevent burning. Well you could just wear 5 finger cotton mittens, I think they're $1 at Wal-mart. This also works with rice. Yes this does work with rice,but after heating it a couple of times the rice will either cook or burn.That's why I used bb's because they can only melt,but still can be used. Sorry, but what are BB's? mmmm...rice.... but if u leave the rice in and it DOES cook.....a snack!! All you need is some butter and sugar and your good to go. if you put in some type of seed, like flaxseed, or even just rice, you can nuke this 'pillow' for 2-3 minutes in a microwave, and it will stay warm for almost an hour... the bigger it is and the more seed inside, the longer it will stay warm, but you will have to nuke it longer... be careful, don't scorch it! wonderful, soft, gentle heat for a long time -- great to go to bed with when you have sore muscles. yes that does work,but by using bb's like I did you don't have to worry about mildew or cooking the rice.The bb's work better because the bb's can be dropped in water and it heats backup in a couple of seconds. my girlfriend and i used to make these with flaxseed, and people bought them as fast as we could make them (not very fast - she was a massage therapist/rn) - but we sold dozens, at least). now they're probably made in china.